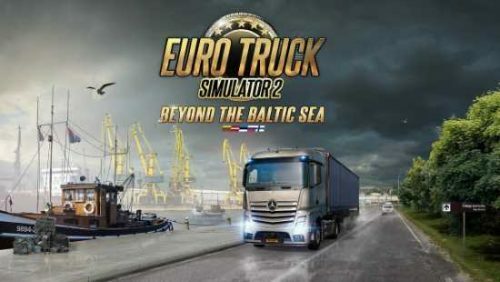 The ETS2 Beyond the Baltic Sea DLC is available for download! The wait is over and you can now play Euro Truck Simulator 2with the Beyond the Baltic Sea update. It costs 17,99€ on Steam or you can get it on G2A cheaper. The new DLC brings a whole new part of Europe into the game. New countries are available: Lithuania, Latvia and Estonia, parts of western Russia, and the south of Finland. With the ETS2 patch 1.33, 2 new more port cities are added. So you can navigate from a part to another with the ferry. Do not forget about the new paint jobs pack. In order to celebrate the DLC, SCS released new DLC with skins related to every new country: Finnish, Estonian, Latvian, Lithuanian and Russian Paint Jobs Pack. Seems like you can download all as a bundle on Steam. In conclusion, let us know what you think of the new DLC in the comments below. Are you ready to roll in the Baltic cities?